Before I get all rainbows and unicorns on you, I will share a caveat. If your dog hasn't been conditioned or trained properly, you may bring yourself to tears. We'll cover conditioning later, but as far as training, your dog should have some reasonable leash manners. I'm not expecting a perfect "heel", but being able to get your dog's attention and having a reliable "leave it" command will save you a lot of grief. Also, watch for your own feet. If you trip and your dog is chugging along ahead of you and not paying attention, they may literally pull you to the ground. I have the scars to prove this one. After 6 weeks, Marvel was up to the 5K distance with no problem. Now, that's the base for all of our runs. He comfortably covers up to 5 miles at a time (not bad for a 30-pound Westie/Shiba mix), and usually joins me at the start of each long run. He's not quite up to running 10+ miles in one go, and I'm not quite up to carrying him when his paws hurt too much to go on. You really don't need anything fancy for this, but sometimes it helps to splurge on certain things. For me, it was a hands-free leash that allowed me to run without having one arm pulled on or held in a weird position. You may feel more comfortable holding a leash in your hand, but that's up to you. Experiment and find out what you like best. If you run on roads where people put down salt in the winter, you may want to invest in a pair of booties to protect your dog's sensitive paw pads from chemical burns. Does this not look like the happiest face you've ever seen? Do you already run with your pooches? 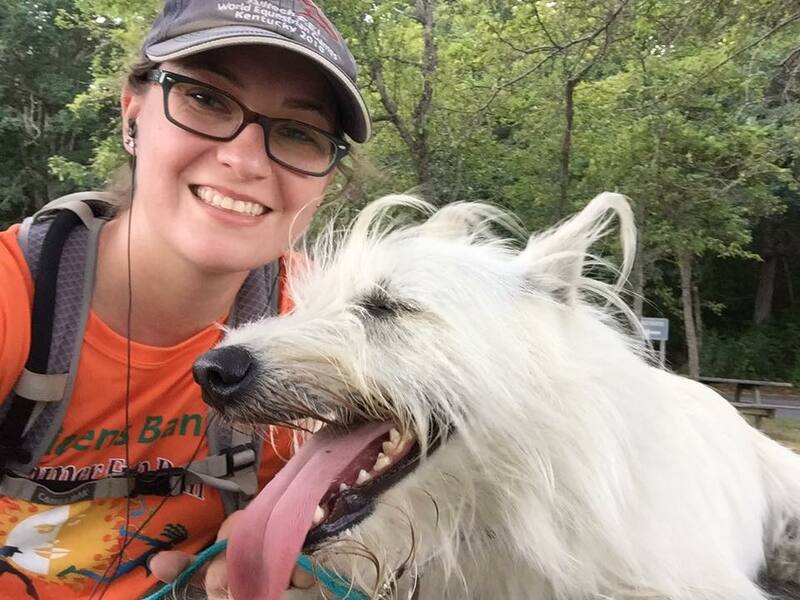 Or are you planning on trying to share your love of running with your best friend? Let me know in the comments if you do!